Between their shreds and Christ-centered lyrics, I was thoroughly impressed. 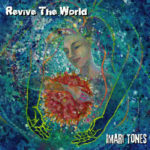 If you’re looking for something a bit edgy on the soundtrack and something you’ll not commonly find on the shelves at your local Christian bookstore, then I would highly recommend checking out Imari Tones (http://www.imaritones.net/e_index.htm). Their latest CD is available for a mere $7.00 on their website. This entry was posted on Wednesday, June 22nd, 2016 at 8:28 pm and is filed under CD Reviews . You can follow any responses to this entry through the RSS 2.0 feed. Both comments and pings are currently closed.